“Quality Assurance experience for 12 years and passion for statistics brought the idea of analytics as a service”-says Janhawi, Founder Member & CEO, IDATUM Researchers. Growth and profit are the key factors for any business. In current digital and competitive world, these can be achieved with making right business decisions at right time with right insights. Though there was an availability of extensive data at the same time the usage of it for decision-making process showcased a huge existing gap. Moreover, the ever-increasing competition amongst industries and organizations across varied sectors led to the demand for a decision-making tool against huge market requirements. Thus, analytics came up as one of the useful & powerful tools for taking unbiased strategic decisions. And believing that 'Data is Information, Information is knowledge, Knowledge is wisdom & most importantly, wisdom is the Vision' team IDATUM Researchers helps its clients with identifying & analysing data insights of current business scenario through research and provides a fit business solution which will add a digit to the clients business. Constituting the three core pillars, viz. – ‘Market Research, Analytics & Business Process Consultancy’, IDATUM offers Market entry demand studies, Concept testing, mystery audits, Feasibility study, Impact evaluation, Competitor Analysis, Consumer Research, Effectiveness & Efficiency studies, Data Visualization, Strategic consultancy, customer segmentation, market basket analysis, Quality Models Implementation, Continuous Process Improvement- all under the key heads. The market research methodologies, PDCA (plan–do–check–act or plan–do–check–adjust) approach and the usage of analytical tools has always remained as the company's fool-proof strategies. Targeting micro-organizations to corporate, the company with its PAN India coverage plans to expand in the Middle East & UK. 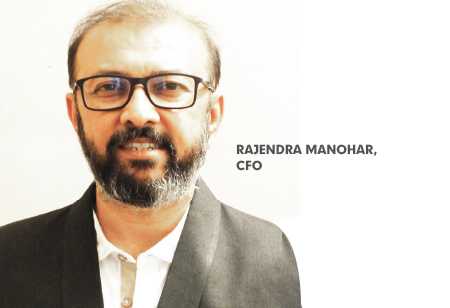 “In future, combining the best of BI & AI, we will aid to concentrate only on predictions and analysis of unexplained or unknown data insights and generate an exceptional outcome,” concludes Rajendra Manohar on a positive note.